India has decided to stop the flow of its share of water to Pakistan from rivers under the Indus Water Treaty, a move seen as an immediate fallout of deadly terrorist attack that killed 40 paramilitary personnel in south Kashmir. Water Resources Minister Nitin Gadkari tweeted to convey the decision of the government to stop India's share of water going to Pakistan. But the actual implementation of the decision may take up to six years as dams as high as 100 metres will have to be built to stop such flow, officials said insisting its decision was in no way a violation of the Treaty and was only aimed at getting the rightful due to people of the country. India's share of water from Ravi, Beas and Sutlej rivers came to 33 million acres feet (MAF). While about 95 per cent of the water was being used in the country after the construction of three main dams across the rivers, close to 5 per cent water or 1.6 MAF would flow to Pakistan. To gain access to this water, India is now building more dams which will be completed in six years, officials said. Another official said the decision was taken two months back. Water to Pakistan from the three rivers has been flowing for 60 years while the country needs the same to meet needs of its citizens, they said insisting stopping of its share of water from going to Pakistan is in no way a violation of the Treaty. "Under the leadership of Hon'ble PM Sri @narendramodi ji, Our Govt. has decided to stop our share of water which used to flow to Pakistan. 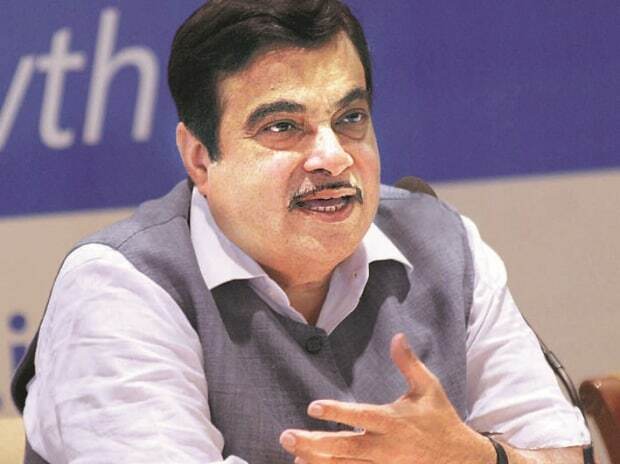 We will divert water from Eastern rivers and supply it to our people in Jammu and Kashmir and Punjab," Gadkari said in a tweet. He further said, "The construction of the dam has started at Shahpur- Kandi on Ravi river. Moreover, UJH project will store our share of water for use in J&K and the balance water will flow from 2nd Ravi-BEAS Link to provide water to other basin states." Gadkari's tweets have come barely a week after the gruesome Pulwama terror attack on February 14 in which as many as 40 CRFP personnel were martyred when a terrorist rammed an explosives-laden vehicle into a bus carrying them. New Delhi believes the attack was planned and supported by elements in Pakistan. Following the attack, the government revoked the Most Favoured Nation (MFN) status given to Pakistan and also imposed 200 per cent customs duty on all goods imported from the neighbouring country. "We have started the work of purification of river Yamuna ... After the formation of India and Pakistan, Pakistan got three rivers, and India got three rivers. The rightful water of our three rivers was flowing to Pakistan. Now we will build three projects on them, and divert the water to river Yamuna," Gadkari has said yesterday at Baghpat in Uttar Pradesh while addressing a public rally. The Union Cabinet in December had approved the Shahpurkandi dam project on the Ravi river in Punjab, a move that was intended to help India arrest its share of water flowing into Pakistan. For this, central assistance of Rs 485.38 crore for irrigation component over five years from 2018-19 to 2022-23 was also announced. The Indus Waters Treaty was signed between India and Pakistan in 1960 for sharing of Indus waters. According to the Treaty, India got the full rights for utilisation of waters of the three eastern rivers -- Ravi, Beas and Satluj. "Some of the water of the Ravi river at present is going waste through the Madhopur Headworks downstream to Pakistan. Implementation of the project would minimise such wastage of water," the government has said in a statement. In September 2018, the Punjab and the Jammu and Kashmir governments had signed an agreement to resume works on the Rs 2,793-crore Shahpurkandi project. Though the work on the project began in 2013, it was halted due to certain issues raised by J-K. The Punjab government also submitted a revised cost estimate of Rs 2,793.54 crore and requested the Centre to include the project in the prioritised list of the Pradhan Mantri Krishi Sinchai Yojana (PMKSY)/Accelerated Irrigation Benefit Programme (AIBP) projects.